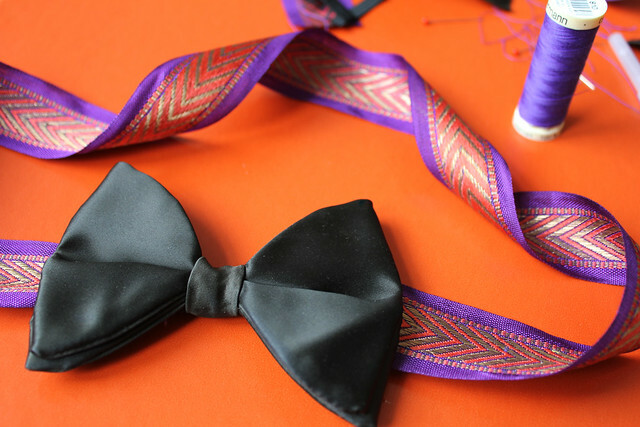 I finally got crafty with a vintage bowtie I bought at Camden Market a few months ago. 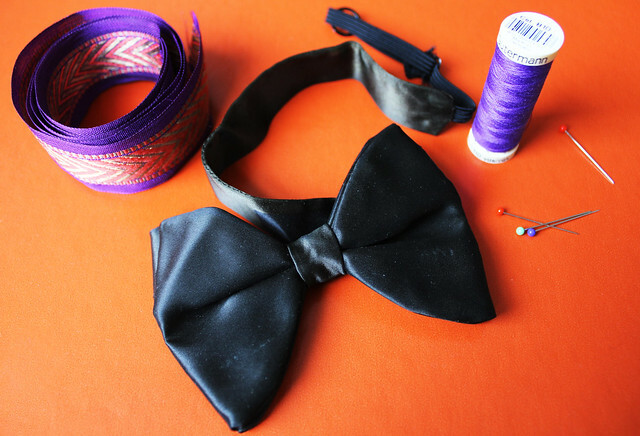 I was sifting through vintage neckties and thinking of what I could make with them when this simple black bowtie popped right out and told me what to do. 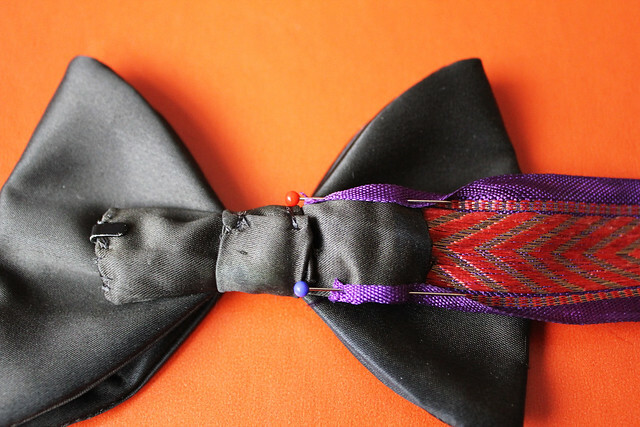 Surely you can tie a bow out of anything to make a belt but I love the fullness, weight, and perfection of a mens bowtie. 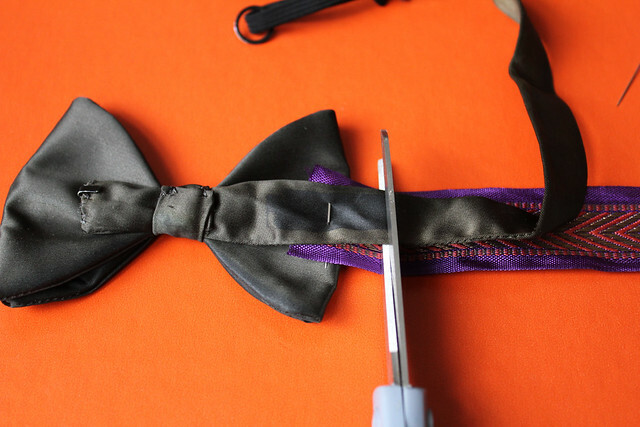 Especially when paired with a pretty ribbon. 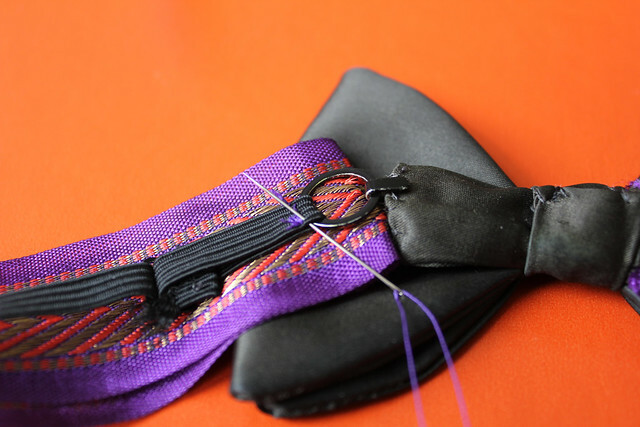 I'm really happy with the way that it turned out but for the next round I think I'll try a few modifications: use a more stretch-friendly ribbon (so woven threads don't break) and find a way to make it fully adjustable to wear either on my waist or hips. A girl needs options, right? 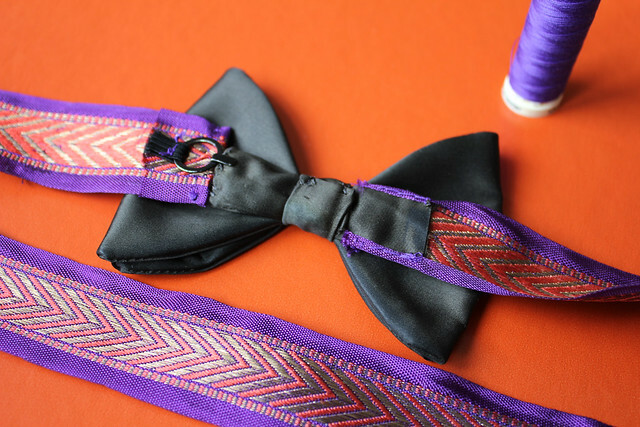 Let me know if you make your own or get inspired to create something else with a mens bowtie...there are so many possibilities!